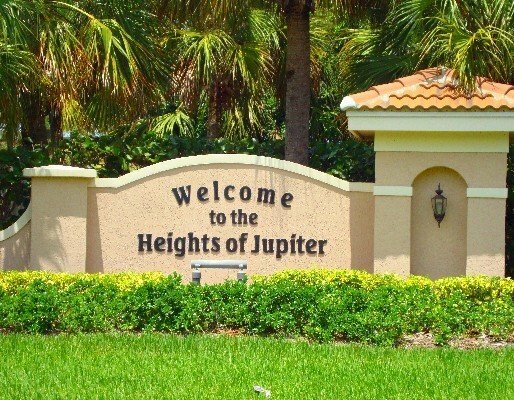 “The Heights” is a large community in Jupiter, FL located just west of Abacoa. This family friendly neighborhood has almost 1,500 single-family homes on 28 streets. The homes are affordable and range in size from two to five bedrooms and 1,000 to 2,500 square feet of living space. The Heights has easy access to I-95 making everything within reach from beaches to malls to many dining options. Community amenities include a park with a playground, basketball court, and beach volleyball and no HOA fees! The Heights is zoned for A rated schools. ONE-OF-A-KIND! This home is 1 of 9 thats located on the beautiful lake in the Jupiter HEIGHTS. This 4 bedroom 2 and a half bath, Master on the bottom floor offers the following. Brand new a/c, all new appliances, new floors and all new fixtures. Don't miss out on this very rare opportunity to live in an amazing location with NO HOAS plus only minutes from the beach, shopping, and the finest restaurants! This one checks all the boxes! Pool home in a great family community (check out the kid's park just up the street) with A rated schools, no HOA, and all your pets are welcome. Lots of upgrades in the past few years including kitchen with Quartz counters, custom cabinetry, soft close drawers, stainless appliances and water heater. A/C replaced in 2013. This home is move in ready! Prime location in North Palm Beach Heights! This MOVE IN READY 3/2 home with 2 car garage is only 1 street away from the Abacoa entrance! Tile floors throughout, granite kitchen counters, newer appliances. Fresh interior paint as well as back porch, garage and driveway. Mature privacy landscaping in backyard. Close to I-95, Turnpike, entertainment, dining, shopping and of course the beautiful Jupiter beaches. Zoned for A rated schools. The perfect ''completely remodeled'' single family home located in the heart of Jupiter, Florida. Move In ready 3 bedroom, 2 bath, 2 car attached garage with fenced in yard! New roof installed 2006. Now is the time to jump to make this home your own. A lot of home for the money in a quality neighborhood that is close to everything with no HOA!! FHA, VA and conventional financing is welcome! Priced below market value and ready to sell today!! !